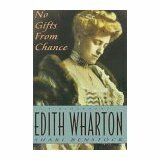 Shall the amendments to the Edith Wharton Society By-laws dated 5/31/15 be approved? Proposed changes are highlighted in yellow. Items in red are changes that were approved in 2005. This entry was posted in EWS Business on May 31, 2015 by Donna Campbell. The Mount has received word yesterday from Tom Goodmann saying that his wife, Shari Gabrielson Goodmann, known to us as Shari Benstock, passed away early Tuesday morning, May 26th, quietly at home, following complications related to early-onset dementia, with which she was diagnosed in July 2004. Many of us remember her as a bright light, and her work has been an important contribution to Wharton studies. Tom can be reached at tgoodmann@miami.edu. I hope you will post this on the list-serv. This entry was posted in Announcements, In Memoriam on May 28, 2015 by Donna Campbell. New Query: Edith Wharton and Mary Gayley Senni correspondence? Comment: I am a journalist and I’m writing the story of Mary Gayley Senni, she realized in the 1931 the municipal rose garden in Rome and write on many rewiew about flower, I read on the web that in 1933 there was one of Edith Wharton and Senni an exchange of correspondence. Do you have any information on their relationship? This entry was posted in Queries on May 27, 2015 by Donna Campbell. As part of the Edith Wharton Review move to Penn State in 2016, the back issues will be available on JSTOR. Edith Wharton Society members will have access to all the back issues through JSTOR. If you are interested in downloading any back issues from this site, you can do so before December 2015. This entry was posted in Edith Wharton Review on May 26, 2015 by Donna Campbell. This entry was posted in EWS Business on May 12, 2015 by Donna Campbell. This entry was posted in CFP on May 12, 2015 by Donna Campbell. This entry was posted in New Books on May 11, 2015 by Donna Campbell.